Farioli purchases a GMK5200-1, its first Grove all-terrain crane. Customer highlights the ease of maneuverability and fuel economy of new addition. 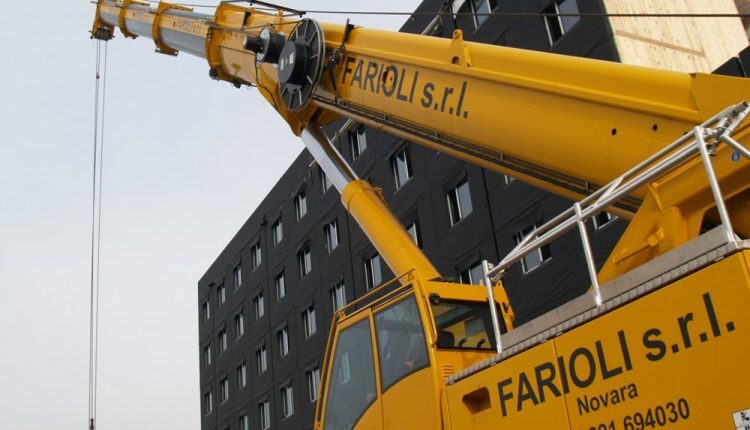 Italian rental company Farioli has purchased its first Grove all-terrain crane. The family-owned business, based in Novara in the north west of the country, bought a 200 t capacity GMK5200-1. Launched in 2015, the GMK5200-1 is a five-axle mobile crane with a 64 m main boom. The GMK5200-1 was dispatched almost immediately to several important jobsites in the area. Most recently, it has been working for a leading real estate company on a new hotel at Milan’s Linate Airport, which is scheduled for completion in March 2018. Domenico Minelli, Farioli’s crane operator for the GMK5200-1, said he was impressed with his company’s latest addition. With CCS, the crane’s joystick functions are customizable for all functions (turning, hoisting, boom telescoping and jib operation). Responsive curves and operating speed can be also adjusted to the operator’s preference. Unique technology on the Grove GMK5200-1 includes the VIAB turbo retarder clutch, which helps prevent clutch burning and fluid overheating while providing wear-free starting and breaking. The crane also has a single engine to power both the carrier and super structure for better fuel economy and superior lifting performance.